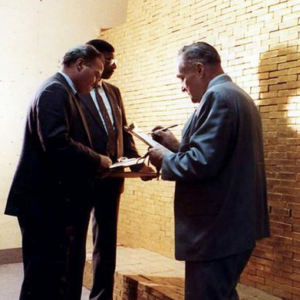 Perth Mint has produced Lunar Series gold coins since 1996. 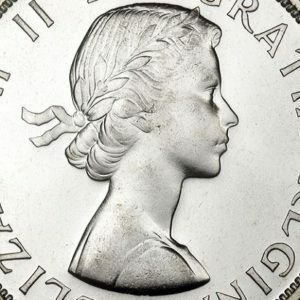 The obverse features the head of state of the British Commonwealth, Elizabeth II, along with the weight of the coin, its purity and face value. The face value of the 1 ounce coin is A$100. 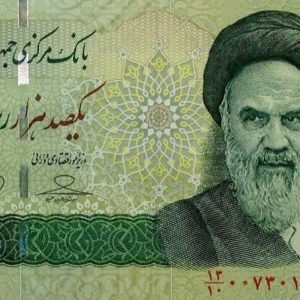 The reverse features the bold frontal view of a Tiger. 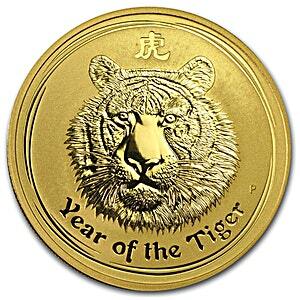 "Year of the Tiger" is imprinted along the bottom of the coin. The Perth Mint’s traditional ‘P’ mintmark is also inscribed on the left of the coin. The coin is circulated in good condition.